Ugadi (Gudi Padwa) 2019: The word gudi means a flag, while padwa, which is derived from a Sanskrit word, means the first day of the bright phase of the moon. Ugadi (Gudi Padwa) 2019: Happy Ugadi and Gudi Padwa! Ugadi (Gudi Padwa) 2019: Ugadi marks the beginning of the New Year and is primarily celebrated by the people of Andhra Pradesh and Karnataka. The same day is also celebrated by the people of Maharashtra as Gudi Padwa – the Maharashtrian New Year. The word gudi means a flag, while padwa, which is derived from a Sanskrit word, means the first day of the bright phase of the moon. The festival got its name as a stick decorated with a bright-coloured cloth, garlands and neem leaves is usually seen outside Maharashtrian households. 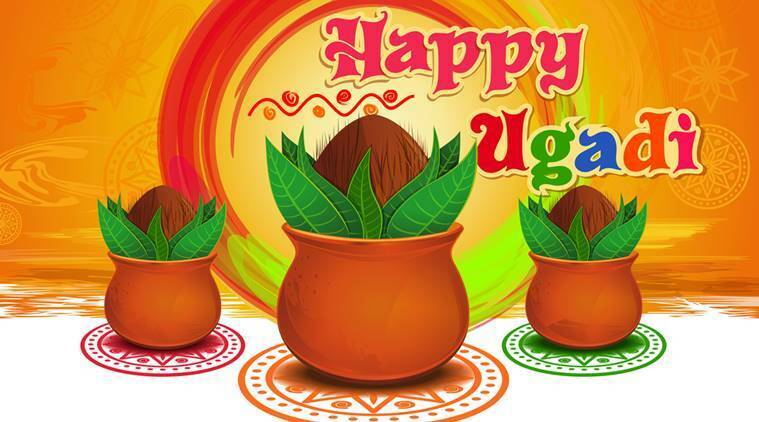 Ugadi is celebrated as the New Year according to the Luni-Solar calendar. The calendar considers the position of the moon and the sun to divide the year into months and days. The Hindu New Year based on the Solar calendar is known as Puthandu in Tamil Nadu, Bihu in Assam, Vaisakhi in Punjab, Pana Sankranti in Orissa and Naba Barsha in West Bengal. Also Read: Ugadi 2019 Date in India: When is Ugadi (Gudi Padwa) in 2019? The day is considered auspicious as it is widely believed that Lord Brahma created the Hindu trinity – Brahma (the creator), Vishnu (the preserver), and Shiva (the destroyer) – on this day. The day also marks the beginning of Chaitra Navratri, that leads up to Ram Navami, Lord Rama’s birthday. Much like other festivals on this day people offer prayers after taking a holy oil bath. Eating neem leaves, as suggested by the scriptures, is one of the most important rituals as it detoxifies and strengthens the body. A vegetarian feast is prepared for the festival. Recipes like Shrikhand, Puran Poli, Rice Chakli and Bhakarwadi are prepared on the day. Buying gold, a new vehicle or making a fresh start is considered prosperous on this day. 3 Ugadi 2019 Date in India: When is Ugadi (Gudi Padwa) in 2019?